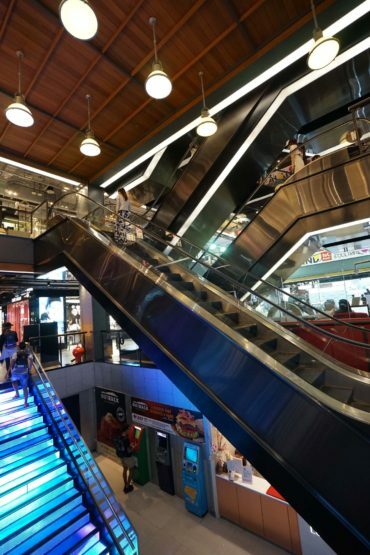 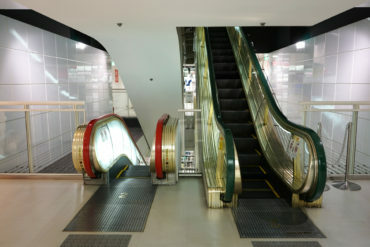 From the bottom, you can see that escalators are stacked in a large elliptical space. 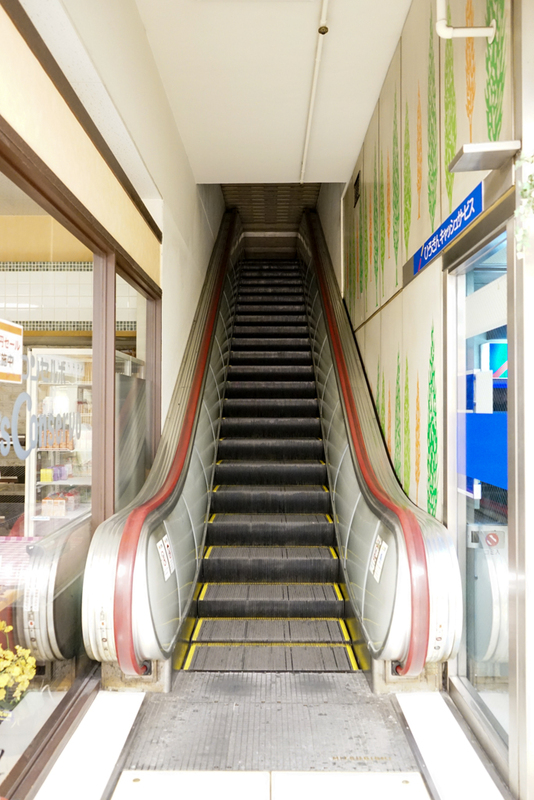 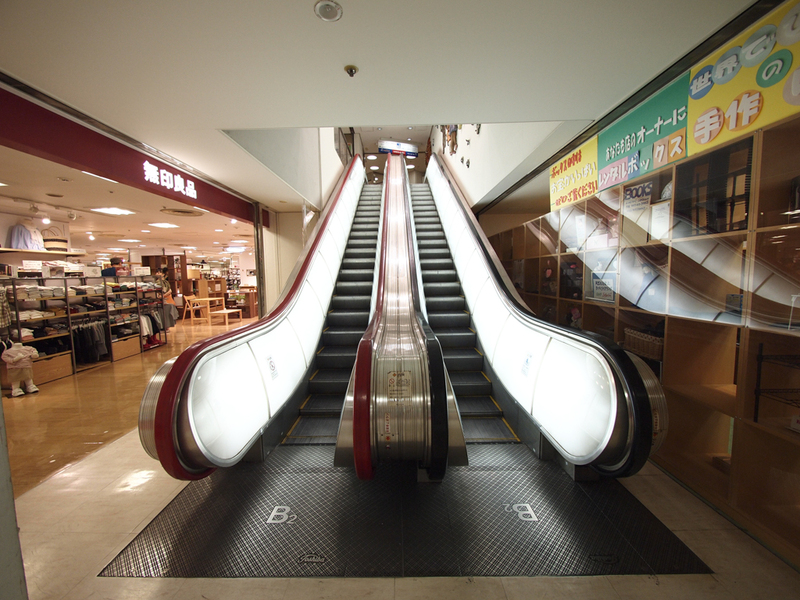 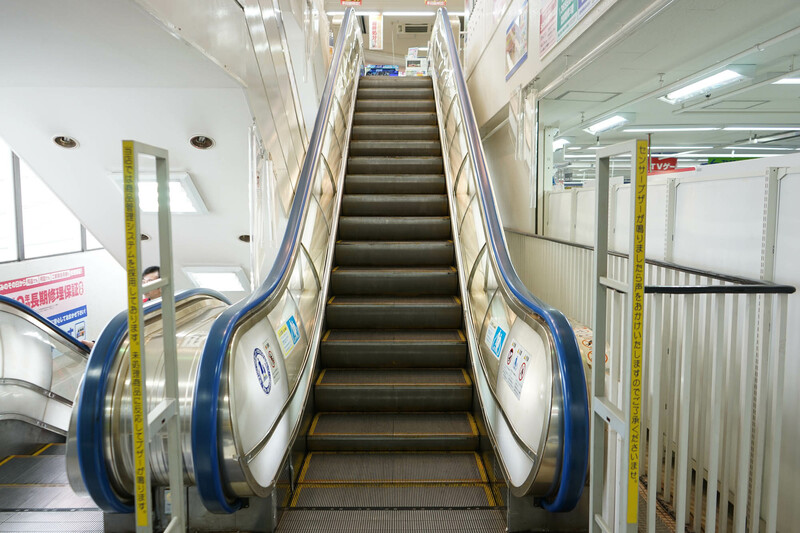 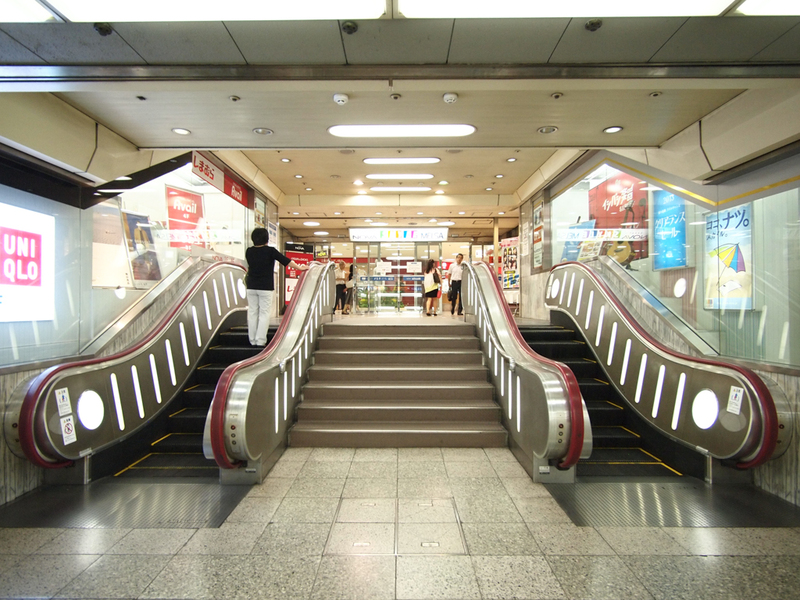 Three escalators are installed in parallel on the top floor. 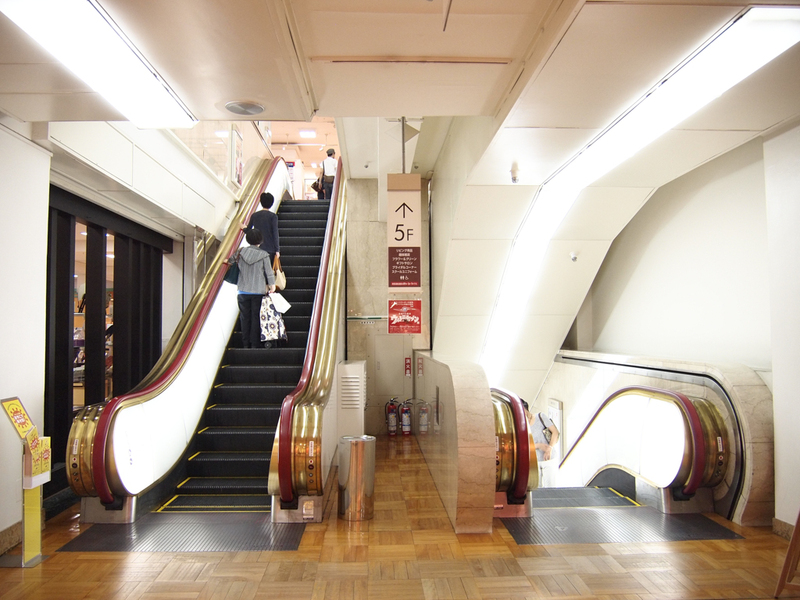 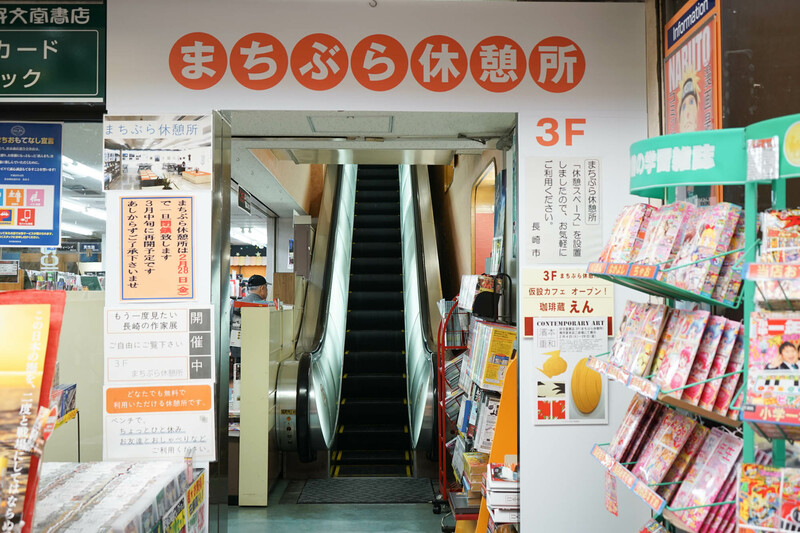 Long-established department store of 40 years foundation. 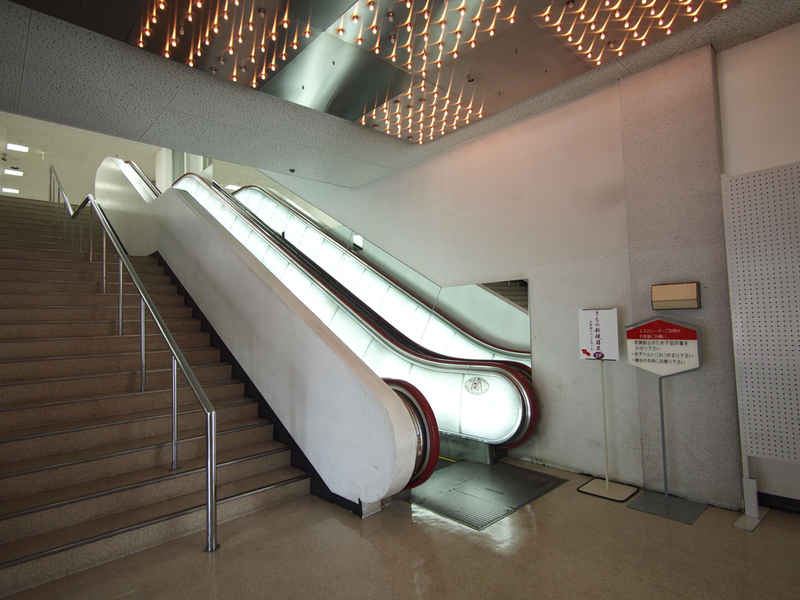 It was renewed in 2013 and the space where lighting was moderately dropped is cool. 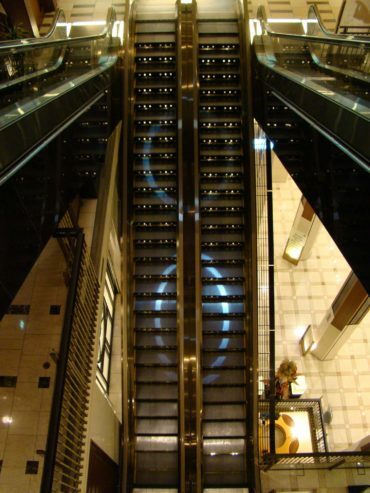 The light behind the escalator is cool, is not it? 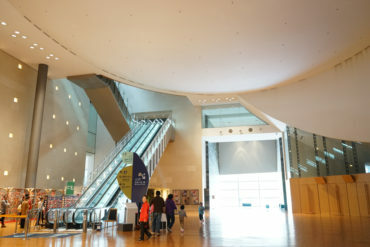 Round body for one person. 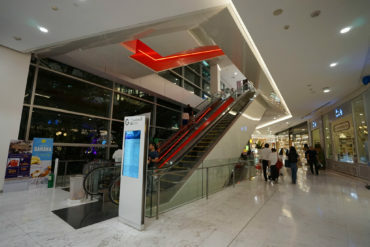 It remains in a pretty beautiful state. 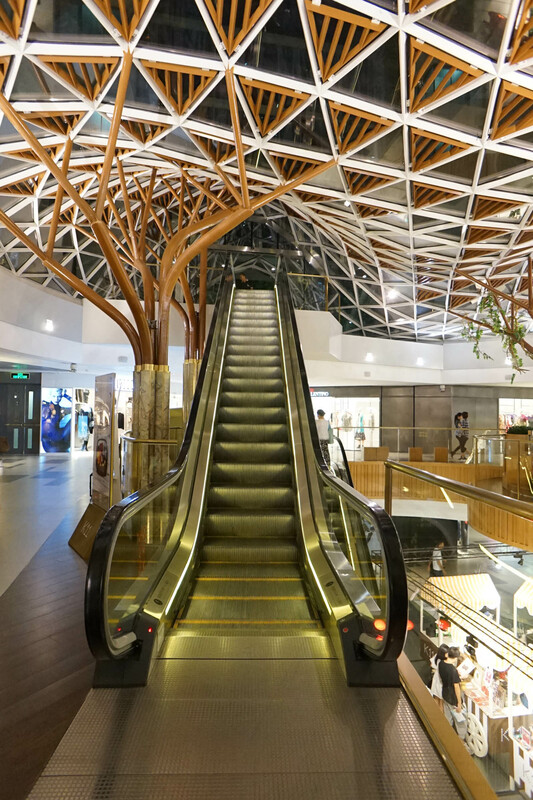 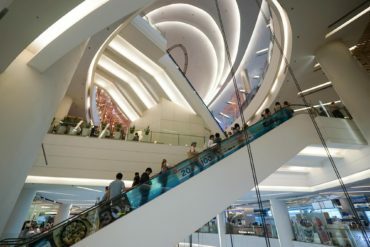 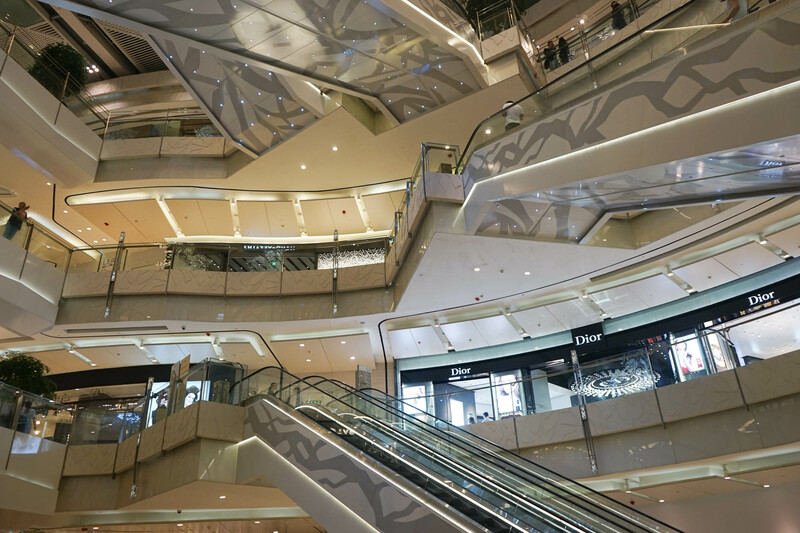 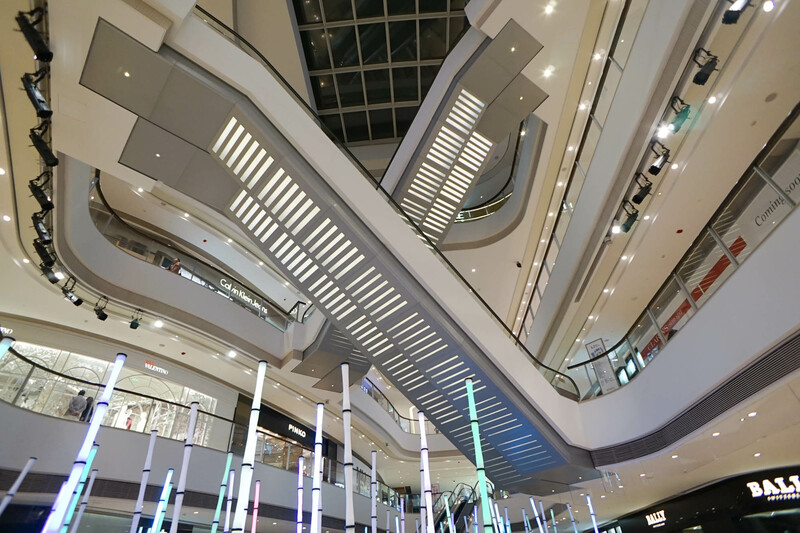 It is the most luxurious shopping mall I have ever seen in Shanghai. 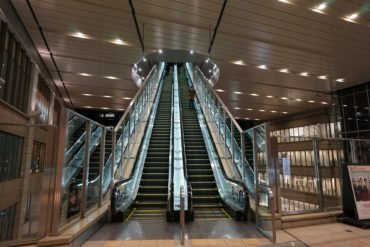 It is nice to be quiet, beautiful and without people. 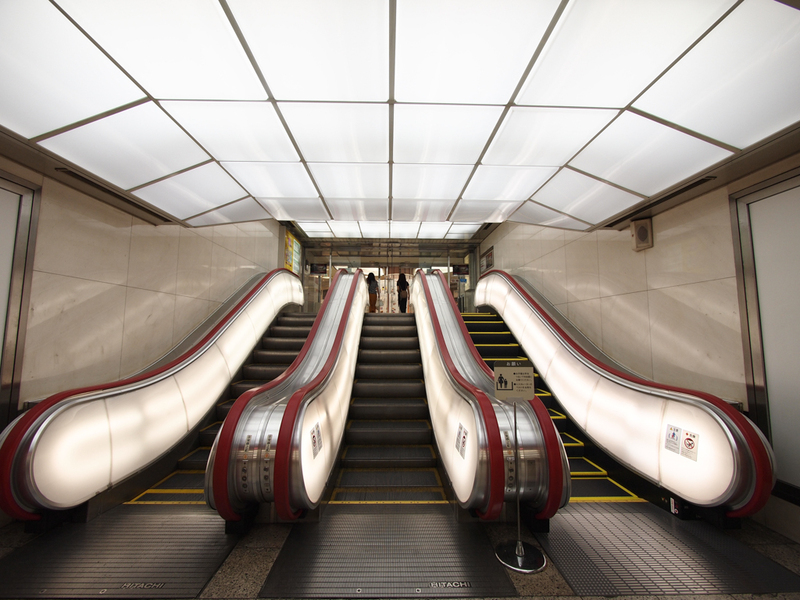 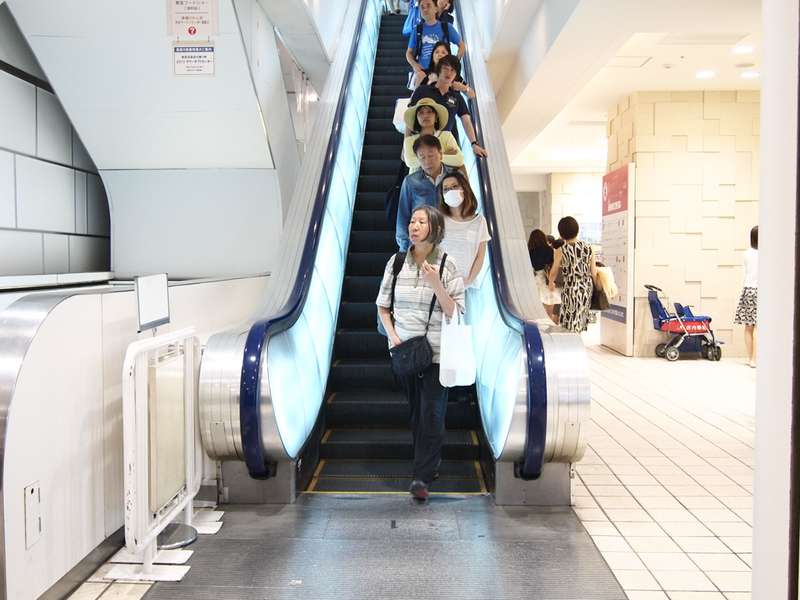 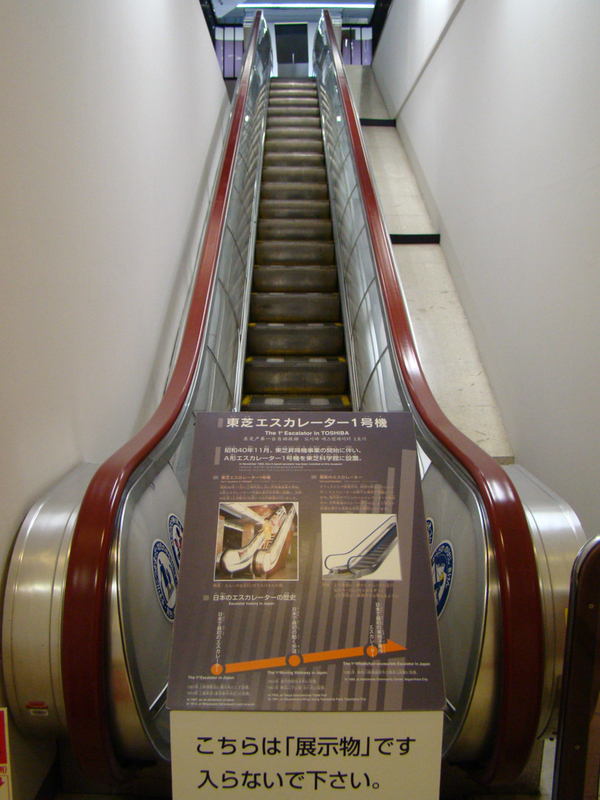 Unlike Hong Kong where there were many long escalators, in Shanghai escalators are rather ordinary length. 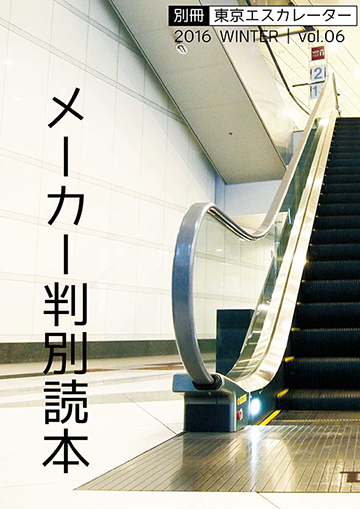 However, Shanghai style is “a little shifted overlapping”.